Networking with other business owners is one of the most successful ways to grow your business. It's through building relationships with other business owners that you share information about your own business. This results in referrals and leads from others and more sales for you! What is Business Networking & How Can It Grow My Business? Business networking is a highly successful and proven way of increasing your business' visibility, customer base and profits! Business networking involves developing mutually beneficial relationships with other business owners and potential customers. The aim of building these relationships is to let others know about the products or services your business provides and then turn them into customers. Business networking grows successful businesses because it gives you a place to both share and receive knowledge about running a business, learn from the successes of others and get those all important referrals! Learn more about our free Business Networking group and receive a free directory listing for your business! Join our free Business Networking group for NZ business owners and enjoy greater exposure for your business. There are literally hundreds of online business networking groups. But the trick is to be selective and only join those groups which will be beneficial to you and your business. accessibility - do you need to login, leave messages for people or can you chat in real time within a Facebook group? the group's moderation - do the administrators keep the group free of spam and overly promotional posts? Are only genuine business owners and their representatives admitted to the group? are there opportunities for members to learn new skills and knowledge from experts within the group? can you share with others about your business and the way you do things? Our new Business Networking group is free, lets you talk with others in a Facebook group, is run by experienced and successful business owners, is well moderated and offers opportunities to both share and learn skills and knowledge with other like minded people. Business networking is a long term strategy for business growth. It requires you to build relationships with other business owners and their representatives. A good way to think about it, is that it's an investment in the future success and sustainability of your business. Listen - take your time to find your feet in the group. By all means introduce yourself and your business first! Then see what others are posting about to see if you can assist them. Respond - when you know the solution to someone's problem, share it. The key is to remember that you're helping them as a person and not a marketer at this stage. Contribute - it's best to spend time giving support and advice when you are new in a business networking group. Give others something of value that will benefit them first. Build - grow your own credibility and reputation as an expert in your industry. People are more likely to approach you for your products or services when they see you as a knowledgeable asset to the group community. It is through successful networking that we're able to build long lasting relationships which assist us in growing our businesses. We have started a new Facebook based business networking group. Please join the group, even if you are not a customer of Website World. All businesses are also entitled to a free directory listing. If you are a website builder customer, you can manage your directory listings from within our CMS under SEO tab, to ensure your listing gets enhanced listing status. If you are not a customer of Website World, then you can register a new listing in the directory. Are you looking for better integration between Xero and your website? Website World offers full integration of invoices, inventory, client data, and payment status, as well as offering full eCommerce features and website hosting for only $25 per month! Our website builder includes everything you need, to build your website and start selling online. Accept customer orders online, or make your Xero inventory items available for purchase via your website. It’s fast and it's easy - just choose a template, add your products and begin selling online. We also integrate with VendHQ, Unleashed, TidyStock, and have other inventory and accounting interfaces in development. Rotorua reseller and web design Web Advantage have done a marvelous job designing this new site for their client using the Simply Carts Clean template. It's a great example of the selling power of beautiful images too! 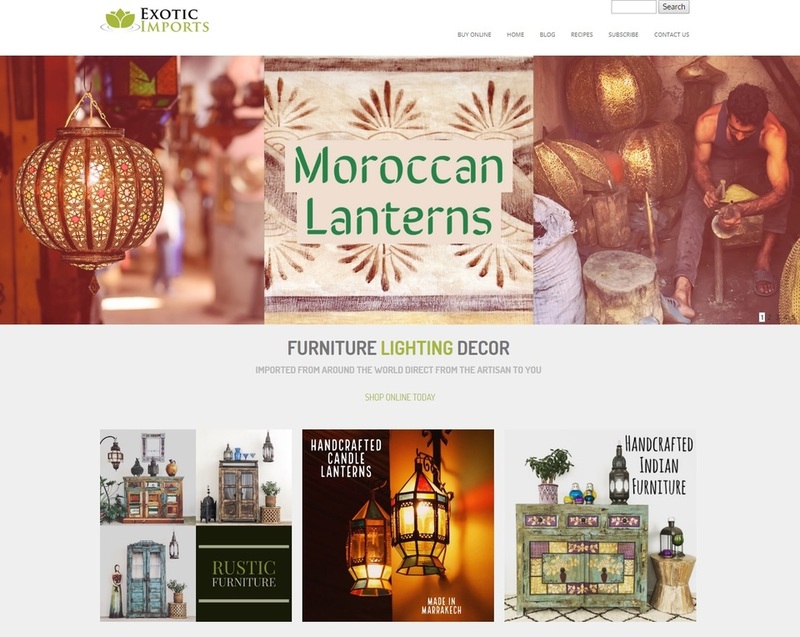 You can see the site here: Exotic Imports. 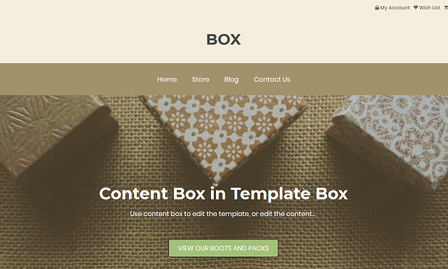 New template "BOX" is a content box content layout inside a content box template layout. This is the first template in a new series, where the template is editable using the content box editor. Wishlists are now available for eCommerce sites. Standard shopping links can now be added to the top of a page. You can print a handy report of all the products in each category, for POS bar code scanning use. Product image sliders now available. All outbound emails now signed with DKIM signatures . New URL Redirection Service in SEO tab. Member image wizard area for members who contribute content. Drag and drop images into any image upload field. Image Wizard edited to improve large image upload capability.